Plastics and their chemicals have been found in every ocean in the world, in arctic ice, in all animal and human bodies tested, and even in soil samples taken from Mars. Yet, despite its ubiquity, plastic pollution is contested, amorphous, and often invisible. Plastic pollution currently exceeds the ability of traditional scientific techniques to explain their fate and transport, as well as their persistence and effects. For example, plastic pollution is so ubiquitous that every human and animal body tested within the past decade contains plastic chemicals. Hence, establishing uncontaminated control groups for experimental designs is now impossible. Yet, experimental science remains the privileged mode through which to identify and explain injury. Moreover, recent reports on ocean plastics have found that the vast majority of plastics known to be in the ocean are “missing;” they’ve someone escaped empirical, scientific methods of counting. Given these problems of definition, stakeholders as diverse as scientists, industry lobbyists, regulatory agencies, and activists argue for different—and often contradictory—meanings of pollution and harm, and develop or appropriate techniques to support their claims. Example of an activist representation of plastic pollution in people. 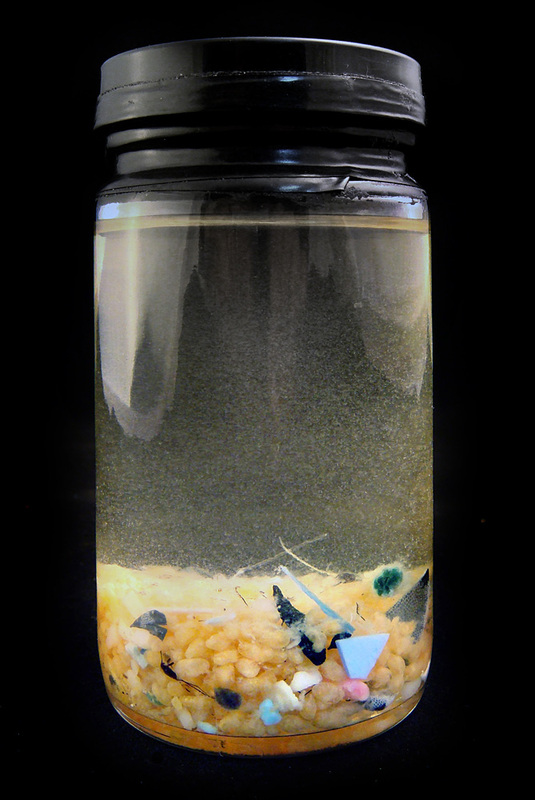 Environmental Working Group, “Mothers Milk,” 2008. This manuscript project investigates what I call “techniques of definition,” the epistemological tools and practices that produce determinate boundaries and properties of novel entities. The text chronicles and analyzes the different strategies that scientific, activist, government, and industry groups use make harm apparent, even persuasive, in the case of plastic pollution in bodies and in oceans. The politics of different types of evidence and representational strategies will be analyzed, particularly in terms of how framing the problem in a specific way predetermines the types of solutions that seem viable and likely to occur. Civic Lab is a feminist science and technology lab that foregrounds equity and justice in all parts of the scientific process, from how to choose research questions (and with whom), to soliciting community peer review before publication. It is an interdisciplinary space for citizen science and civic problem solving. It is designed to support the invention, appropriation, use, and validation of novel, grassroots methods to create place-based knowledge as a resource for environmental action, with an emphasis on environmental monitoring. The marine plastics project in Civic Lab investigates the state of ocean plastics in Newfoundland with an emphasis on the area around St. John’s using methods from citizen science, social science, and the humanities. Currently, there is very little comprehensive information on the problem in the area despite evidence that the problem exists.